Why replace your timing belt? This is responsible for the synchronisation of valve and piston movement, when failure occurs component contact often occurs resulting in serious engine damage. However, breakage is not the only reason to replace your timing belt. Looseness and wear can allow the timing belt to jump and change valve timing resulting in very poor performance, a non-start condition, or even engine damage. We use only quality cam belts, timing belts and component kits. Our workshops are equipped with the special tools required to carry out the service and replacement of cam belts and timing belts along with associated components. 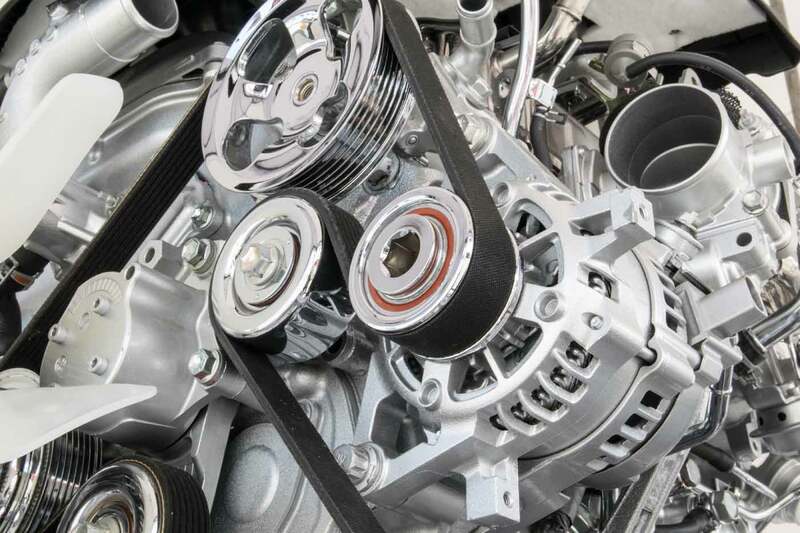 Timing belts should be replaced according to manufacturer’s guidelines. If you think your timing belt might be due for replacement, give us a call today with your vehicle details and mileage and we will let you know if and when your timing belt is due to be replaced. We can also detail the cost of a replacement for you. Remember at James Coyle Motor Engineers Glasgow all our work and parts are guaranteed. We are a reputable local business established over 20 years and we are members of the Good Garage Scheme.